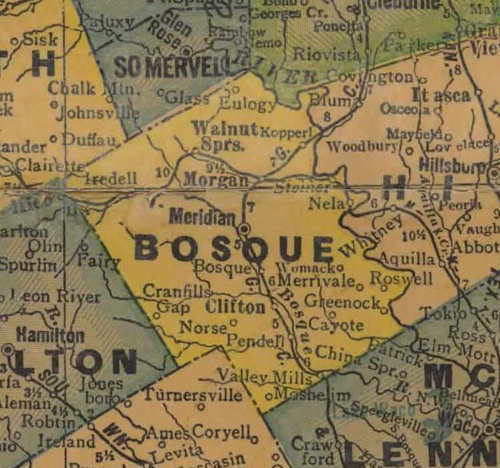 Named for the Bosque (Spanish for "woods") River. 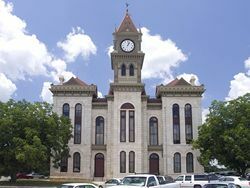 The territory now part of this county was traversed in 1841 by the Texan-Santa Fe Expedition. Maj. George B. Erath, noted surveyor and soldier, explored the region prior to its settlement. The first colonists established homes in 1850-51. Among the national groups who immigrated here were the English (at Kent), Norwegians (at Norse and elsewhere), and the Germans (in eastern part of county). 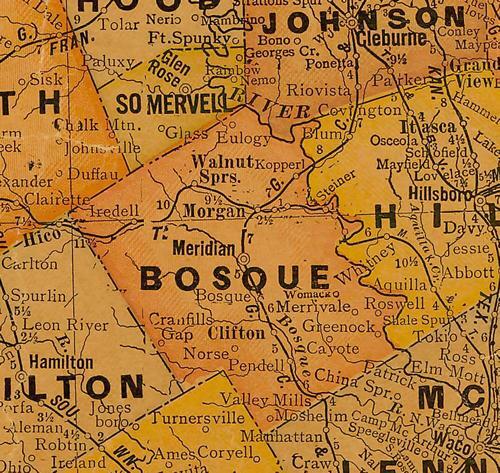 Formally created and organized in 1854, Bosque county has traditionally had farming-ranching economy. 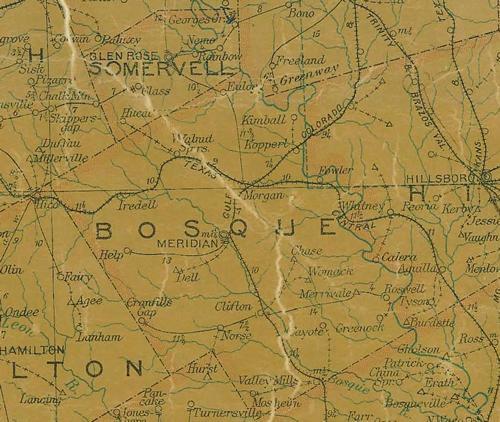 The Chisholm cattle trail crossed the area in the 1870s.